Lost Harbours: A follow up to Thursday 8th March. A follow up to Thursday 8th March. 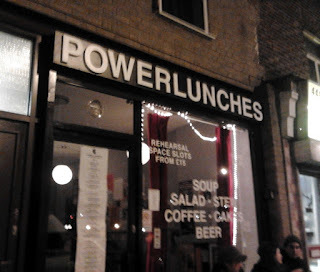 Quick follow up to last weeks show, a couple of photos taken by Emma and a big thank you to Power Lunches for hosting the gig, Daryl (Kostoglotov) for organising it and NOW and Circuit Breaker for playing awesome sets. We thoroughly enjoyed ourselves. There are tapes by Lost Harbours, Circuit Breaker, Kostoglotov, Pollux and Rainbow Valley for sale in Power Lunches if anyone is interested.